American television channels are obsessed with shows about drug addicts and interventions. Even advertising in the US focuses on how there's a prescription pill for almost any problem you could think of. ­Some wonder if the culture is creating an environment that makes it acceptable to be hooked on pills. Studies show that 10 to 15 percent of American college students are taking a pill called Adderall to help them study. Many are taking the pill without a prescription. "It's like drinking six black coffees, just chugging them and being completely wired," said Radwon Gabr, a college student who uses the pill to help him study for exams and write long papers. Gabr and his friend Jack Labadie take the pill without a prescription. They say it's pretty easy to find since it is being prescribed to so many of their friends. "I get it from friends for the most part. I usually don't have to pay for them. If I do, it's like two or three bucks so it's not a problem," Labadie said. Some students are even starting to wonder if they're capable of being productive without the help of medication. "When do we hit that age where we're like, 'alright, it's time to stop playing around and not have to take drugs to do my laundry'," Labadie said. While most students know that it's illegal to take medication that is not being prescribed to you, they say that the purpose for the pill makes it acceptable. "It motivates me. It gets me on task, gets me to set my priorities and one by one fulfill them," Gabr said. 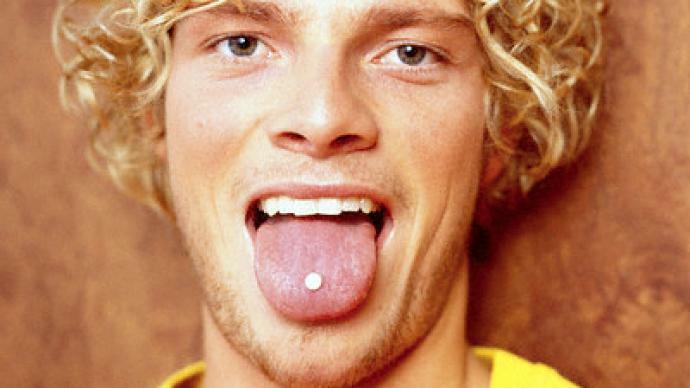 Most students take the pill for academic reasons, but there has also been a rise in students taking the pill for recreational purposes. Many say it gives them energy to go out and party after a hard week of studying. Many medical officials contend that more people should be worried about kids getting hooked on pills. "When they feel like they can't survive without it, particularly if they weren't prescribed it, if you don't have a medical need for it and you find you can't organize your life and you can't get along without it – that's a very dangerous warning sign," said Dr. Wilson Compton, Division of Epidemiology Services and Prevention Research at the National Institute of Drug Abuse.